Before putting your house up for sale, you need to think about how to increase home value. Renovations and home improvements are key, but the process can be daunting. You should approach hiring a contractor the same way you would approach hiring an employee at work: research the candidates, conduct two rounds of interviews, and investigate their work. Anything less could end up costing you thousands of extra dollars and months of lost time. First of all, if you’re considering selling your home, don’t do a thing until you’ve taken the Sold.com Home Seller Quiz. This free and easy tool is a decision-making engine that will offer you personalized recommendations to help you sell your home. If you are facing the challenge on how to renovate a house to sell, or you simply wish to pursue a home improvement project anyway, you want to hire the right general contractor for the job. But that can be difficult if you don’t know anything about construction. Luckily, we can walk you through the process. If you were hiring for a position at your workplace, you would probably ask colleagues if they had anyone they could recommend. Why? Because you know there’s a high probability you can trust the referral’s work. The same is true for a contractor, except that it’s even more important to get a trusted referral since you probably don’t have much experience with construction and wouldn’t be able to tell something was wrong until it was too late. Ask your friends and family, ask neighbors who have recently renovated their home — or talk to a building inspector. He or she will know which contractors regularly meet code requirements. You can even take a trip to the local lumber yard. The manager there can tell you which contractors buy quality materials and pay their bills on time (both good indications of trustworthy professionals) and which do not. If all else fails, check with the National Association of the Remodeling Industry. This step is especially important if you found your potential contractors online. First, check with your state’s consumer protection agency and the Better Business Bureau to make sure they don’t have any complaints against them. Or if they do, make sure the complaints were minor, few in number, and resolved quickly. If a contractor has a history of complaints filed against them, they will likely do something on your project that warrants you filing a complaint. Look for abbreviations after their names like: CGR (certified graduate remodeler), CAPS (certified aging specialist), NAHB (National Association of Home Builders), and BIA (Building Industry Association). These represent certifications from, or membership to, national trade organizations which bind their members to a strict code of ethics. Once you have three or four viable candidates, it’s time to set up phone interviews. After you give a brief overview of what you want to accomplish, ask them if they take on projects that size. Ask them how they would approach it and whether or not they have other projects they’re currently working on. If a contractor is working on another project or two simultaneously, yours might not finish in a timely manner. Ask how long they have been working with their subcontractors and where they source their materials from. And finally, ask for a list of previous clients and their contact information. Be upfront about your budget. It will not only help the contractor to price their bid appropriately, it will help them advise you as to the best route to accomplishing your end goal. Call three clients for each of the contractors, asking not just if they were satisfied with the work, but also the timeline of the project and its cost. Try not to ask yes or no questions like, “Did Larry finish the project on time?” and instead say, “What was your overall impression of working with Larry?” or “Is there anything I should be aware of if I hire him to complete my project?” People are more likely to give you information that’s valuable to you if you phrase the question this way. Review bids from your top three candidates. If one of them seems a lot lower than the others, throw it out. This contractor is likely cutting corners or is desperate for money, neither of which bodes well for your project. If you have questions about anything, ask the contractor for clarification. Try to narrow your choices down to two candidates. The purpose of the in-person interview is to make sure you communicate well with the contractor you eventually hire. Talk through the project in-depth and ask about their preferred payment schedule. Hire the contractor with whom you feel on the same page. A traditional payment schedule for home improvement projects is 10% of the total contract at signing, and 40% once the work commences (to cover materials and pay subcontractors). The remaining 50% is usually paid after every punch list item has been completed. Once you’ve reviewed the contract, have an attorney take a look. It might save you money and headaches in the long run. Step 8: Sign Contract and Get Started! 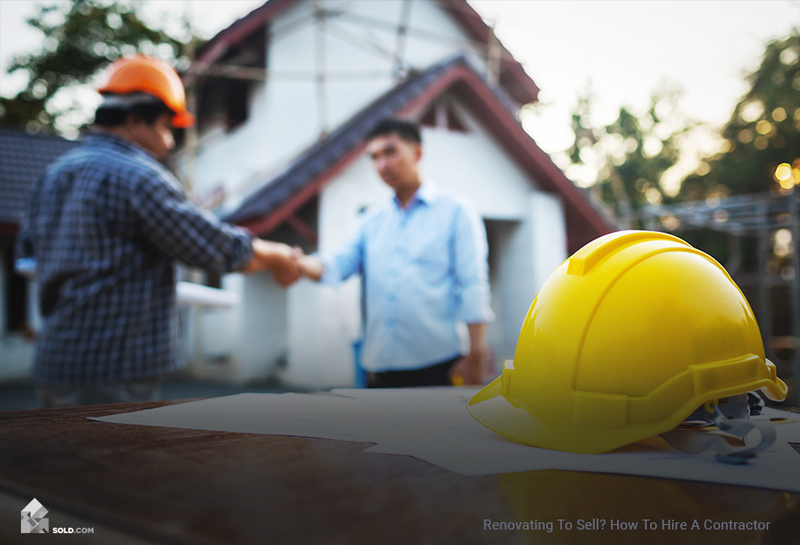 After all of the research and interviews, hopefully, you’ve found a reasonably-priced, quality contractor with whom you can communicate freely. But don’t be lulled into a false sense of security. Make sure to ask questions at every step of the process and don’t be shy to speak up if something doesn’t seem to be going according to plan.